MELBOURNE: The ongoing Test series between Australia and India has seen moments of boiled-up emotions on the field, but now the media of both the countries has also chipped in to take this tiff to a new level. 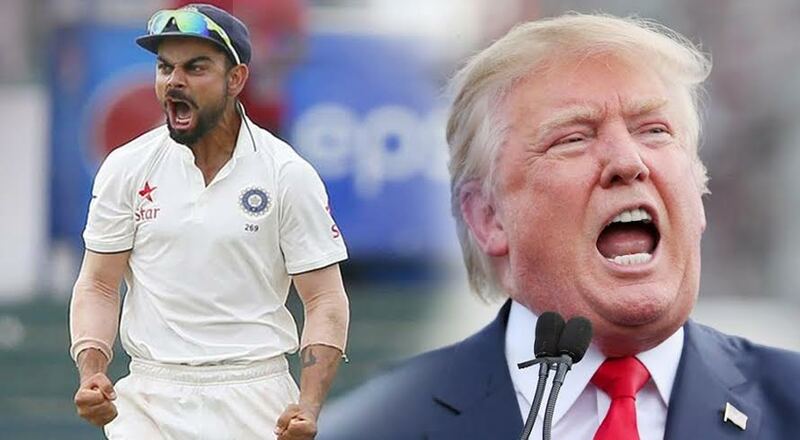 After an Australian newspaper accused Indian team skipper Virat Kohli and head coach Anil Kumble of indecent behaviour during the Bengaluru Test, an Aussie media outlet has now compared Kohli to US President Donald Trump. The Australian newspaper ‘The Daily Telegraph’ has accused Kohli, who had earlier lashed out at the Australians before falling short of calling them ‘cheats’ after the second Test in Bengaluru, of perpetuation of fake news. The newspaper alleged that the 28-year-old Delhi batsman launched a scandalous attack on his counterpart Steve Smith and the Kangaroos where he accused of them being systematic cheats, but refused to apologise or provide any concrete evidence. “Virat Kohli has become the Donald Trump of world sport. Just like President Trump, Kohli decided to blame the media as a means of trying to hide the egg smeared right across his face,” the newspaper reported. 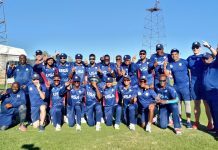 The article headlined ‘Virat Kohli’s Donald Trump-like contempt for the truth making mockery of the game’ accuses the International Cricket Council also for having allowed the Indian captain to make a mockery of cricket. “Test captains, under the rules of the game, are supposed to be the flag-bearers for upholding the spirit of the game, yet the ICC has allowed the Indian captain to destroy one of the foundations on which the game has been played for more than a century,” the article said. Instead of dousing the fire, the Australian media seems intent on igniting new ones. After completion of the third Test, which ended in a draw at Ranchi, Kohli had on Monday accused the visitors of trying to disrespect the Indian team physio Patrick Farhart. “They (four-five of them) started taking Patrick’s name. I don’t know why. He’s our physio. His job is to treat me. I don’t find the reason behind it. I could not understand. You must ask why they have started taking his name,” Kohli said at post match press conference. “The fact Kohli has not been sanctioned for calling the Australians systematic cheats or his latest unfounded attack on Smith shows that he is completely untouchable,” the article further says.